We are really excited to present our new DA Microfiber Correction System, a new concept in defect removal on factory cured paint. What's so new about it? This system, and it truly is a system, makes use of two very unique microfiber pads â€“ one for cutting and one for finishing. And it's a system because we have specifically tailored these pads to be used with two particular liquids â€“ a correction compound and a finishing wax. Even the foam backing on these pads has been engineered to work as part of the system, providing the proper balance between cut and cushion in both steps. 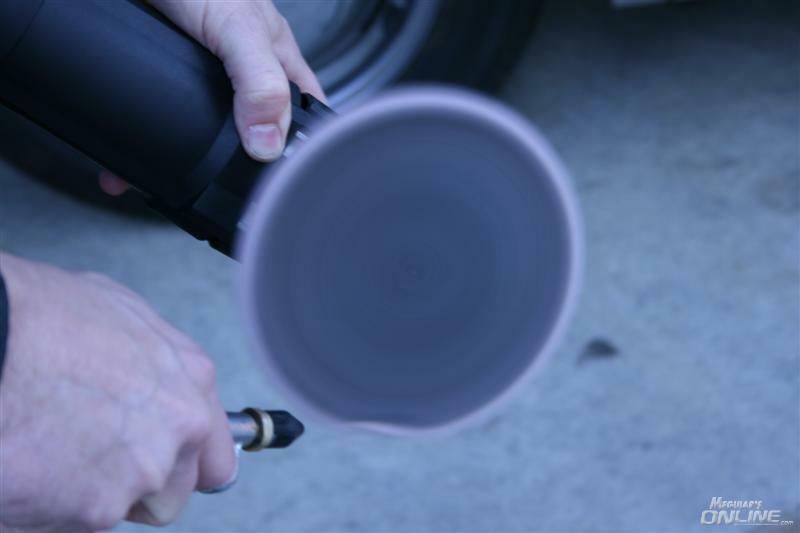 This innovative system removes defects like a rotary, yet offers the safety, ease of use and swirl free results of a Dual Action Polisher. If you know how to use a D/A, you essentially know how to use this system, but you will have to make some very important adjustments to your technique. 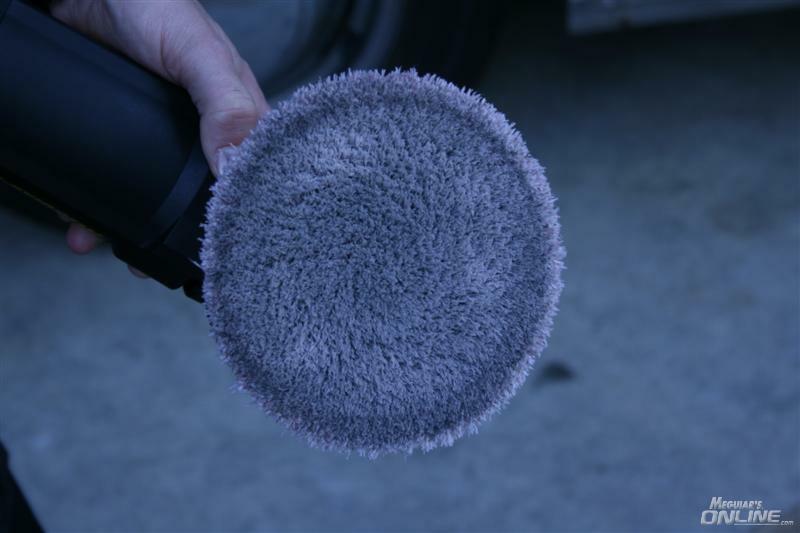 Change your mindset a bit and you'll find this DA Microfiber Correction System can be just as simple to use as foam pads and various liquids, but it will return very dramatic results in very little time. Further, it is highly recommended that our backing plates be used, primarily due to the micro-hook attachment system. While a longer, more traditional hook & loop attachment system will hold the pads in place, this mismatch will cause operating temperature on the disc to increase noticeably. DMC5/DMF5 pads: DA buffers such as Meguiar's G110v2, G110, G100, Porter Cable 7424, 7336, 7424XP, Griot's Garage 6"
OK, let's look at these pieces a little more in depth, and then actually put them to use. Again, the system is comprised, essentially, of two pads (cutting and finishing) and two liquids (correction compound and finishing wax). 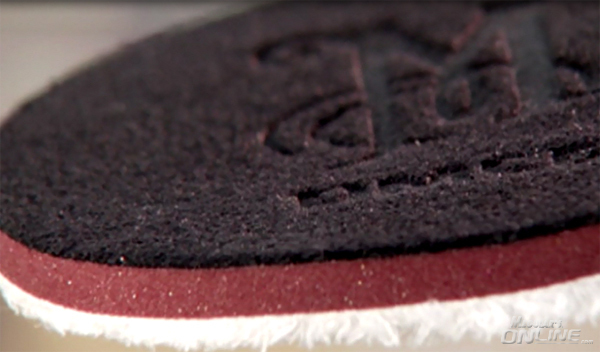 The cutting pad utilizes a red foam backer (red being almost universally accepted as a warning color, hence its use for the cutting/compounding stage) and a very unique microfiber surface to provide the cut. Used in conjunction with our D300 Microfiber Correction Compound, a reddish pink in color (see the trend here?) 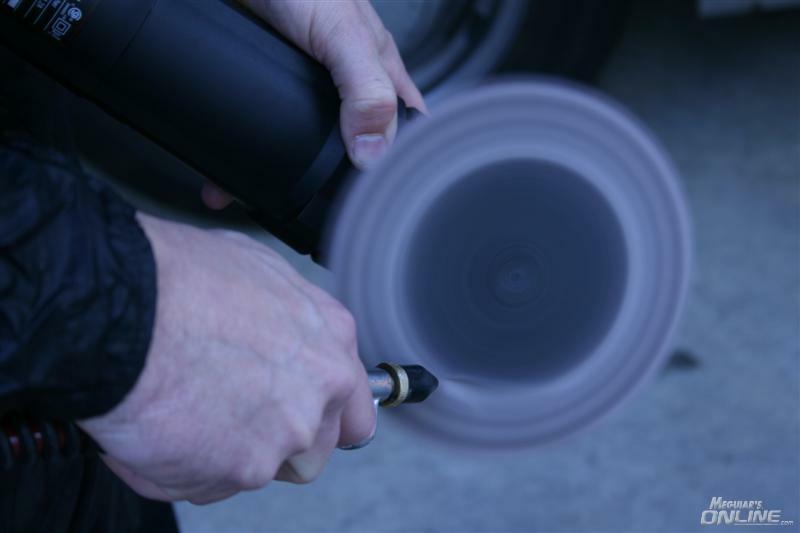 it can speed through even the most severe swirls, water spots, etchings, etc almost as quickly as a rotary, without the inherent dangers of that tool in the hands of a novice. The finishing pad with its black foam backer and softer microfiber surface, provides tremendous refinement of the surface following the compounding step, while the D301 Microfiber Finishing Wax furthers that enhancement and provides a blend of polymer/carnauba protection. As previously mentioned, both types of pad are available in 6.25", 5.5" and 3.37" sizes to fit a variety of tools, as shown below. And since this system is designed for D/A use only, you don't need to worry about the typical holograms and swirls so often left behind following rotary use. It simply can't happen with a D/A! OK, so how different is this system to use than the traditional foam pads and various liquids? Well, not terribly different, but there are some very important things to keep in mind. 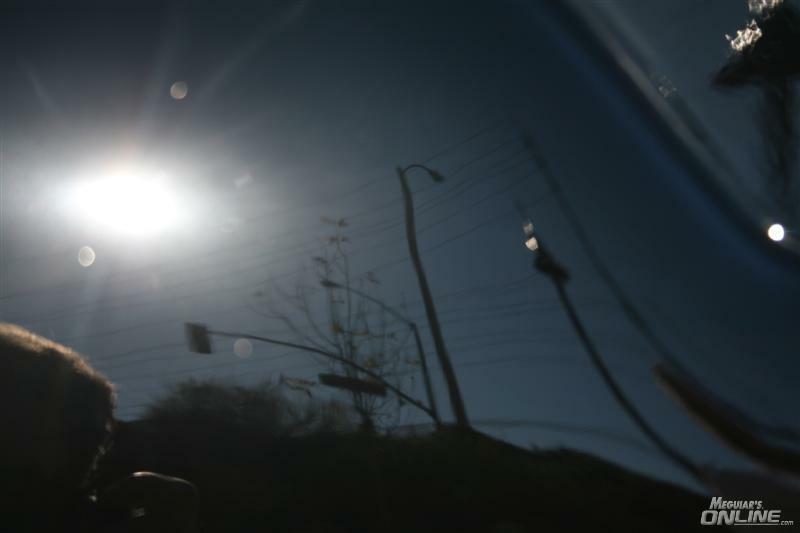 You'll want to start with the obvious â€“ wash and dry the car, and clay if needed. Now attach the cutting pad to the D/A and set the tool to 4800 opm. On the Meguiar's G110v2 that is speed setting 4 â€“ refer to your owners manual for the equivalent setting on your tool â€“ you're looking for 4800opm. Apply DA Microfiber Correction Compound directly to the microfiber cutting disc, using just a few drops of product to start. This is the first major deviation from what you're probably used to â€“ you use a lot less product with this system than with typical liquids and foam pads. Now, place the pad flat on the paint, turn the tool on and begin working a 2' x 2' area with uniform pressure. At this point you are just beginning to prime the pad so don't worry about defect correction just yet. After just a couple of quick passes turn the tool off and lift the pad off the paint. It should look like this. Add a few more drops of product to the â€œcleanâ€� areas of the pad and repeat the above process. You want the entire face of the pad to be lightly but uniformly covered with product. Alternatively you could apply some product to the pad and work it in with your fingers, just make sure to NOT overuse the product and to uniformly cover the pad. At this point the pad is fully primed and you can get to work correcting defects. To do that you want to start with 2 â€“ 3 passes of moderate pressure then follow with 2 â€“ 3 passes of light pressure over the same area. Work in the same small, roughly 2' x 2' area that you should be used to doing with foam pads. Just as with traditional liquids you do not want to go to a dry buff with this system. But you should see the product stay wet for a very generous period of time, and there will be almost no dust to deal with at all. 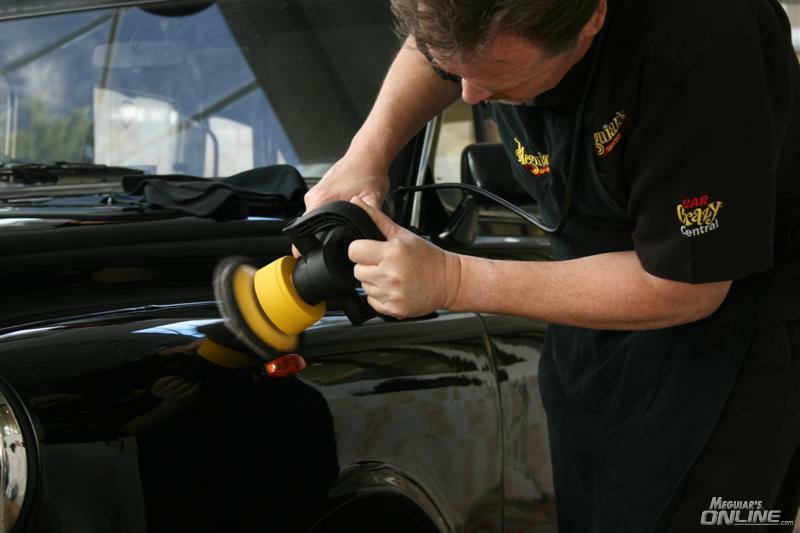 Remove remaining residue using a microfiber towel and continue this process on all areas of the vehicle as necessary. For maximum cutting at all times, clean the microfiber disc frequently using compressed air, Meguiar's Professional Pad Conditioning Brush, or Meguiar's Pad Washer. This is a very critical step, to be honest, and something that many casual D/A users often don't do with foam pads. 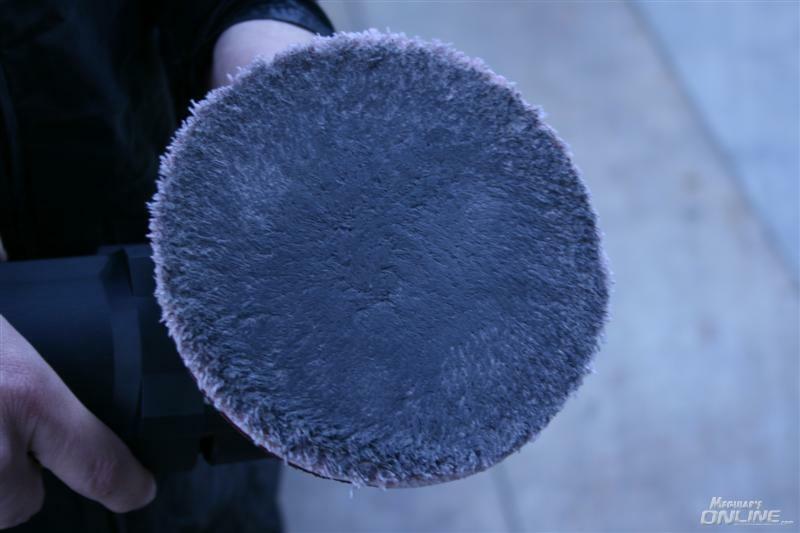 With microfiber it is imperative that you clean the pads often and thoroughly. Compressed air works great but a good pad brush does wonders, too. It takes just a couple of seconds to do, and the rewards are huge. Remember, these pads are microfiber and microfiber is designed to hold on to stuff. If you pick up a bit of foreign matter, or you don't clean the pads and product starts to clump or dry, you do run the risk of creating pigtails in the surface. But this is so easy to avoid â€“ just clean the pad after every, or every other, section. We can not stress this enough! You'll see the fibers of the pad matt down pretty quickly, but cleaning will fluff them back up and remove excess product. In the images below you can clearly see the fibers matted down prior to cleaning, and fluffed back up after either brushing or using compressed air. The pad will stay primed, however, so subsequent applications of fresh product requires no more than a few pea sized drops. That's it. Do not overuse this product! If ever there was a â€œless is moreâ€� situation, this is it! Here's another little deviation from what is generally done with foam pads on a D/A: if you find you need more cut, do not increase the speed of the tool. That's right â€“ leave it at 4800 opm. To increase cut simply increase the amount of pressure applied, slow down your arm speed over the surface, or both. You can actually use very heavy pressure with this system and still have rotation of the pad. If you do need this extra pressure, however, be sure to finish off with a light pass or two before moving on to the next area. Routinely, though, you should start by using moderate pressure and working your 2' x 2' section in overlapping up and down and then side to side strokes with moderate pressure, then follow by repeating that motion with just light pressure. Do a test spot like that first and then adjust arm speed and pressure as needed. But do that test spot first (that part hasn't changed, and likely never will!). This system loves hard paint. Increased pressure and very slow arm speed on hard paint should remove even very severe defects and leave a very nice finish. 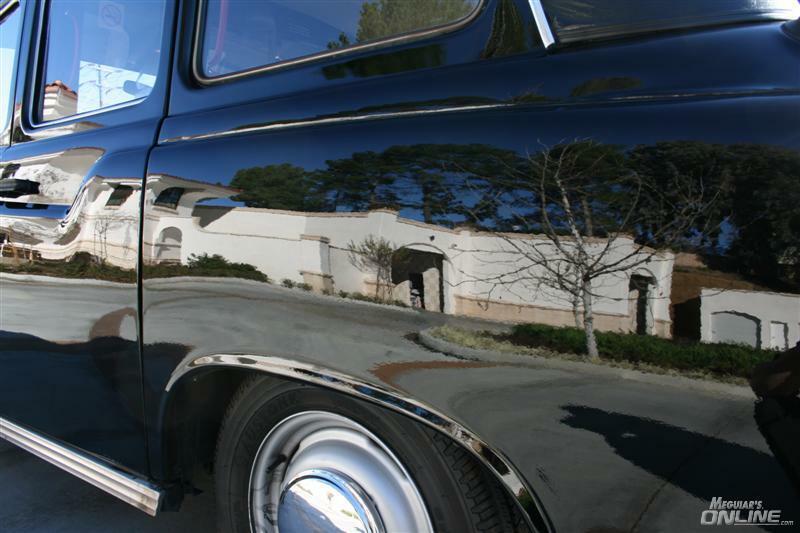 Softer paints are prone to hazing at this step, but that's quite common with soft paint and D/A polishing anyway. If you find more hazing than you're used to, don't panic. The microfiber finishing disc and finishing wax will take care of it very easily. 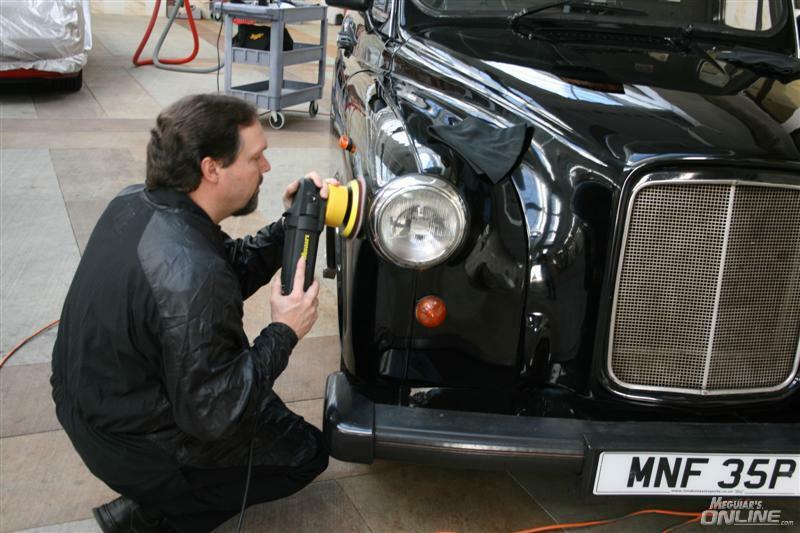 Using the finishing disc and wax is very much like applying a wax with a foam pad via D/A. With this system you want to set the tool speed to 3800 opm â€“ speed setting 3 on the G110v2 â€“ and apply just a few drops of finishing wax to the finishing disc. Again, quickly priming the pad is called for as noted above. Just as you would when applying wax with a foam pad, you want to apply the finishing wax with only light to moderate pressure and with increased arm speed. The microfiber pad and formulation of the liquid will remove any haze from the previous step, dramatically increase clarity, and provide excellent polymer/carnauba protection. 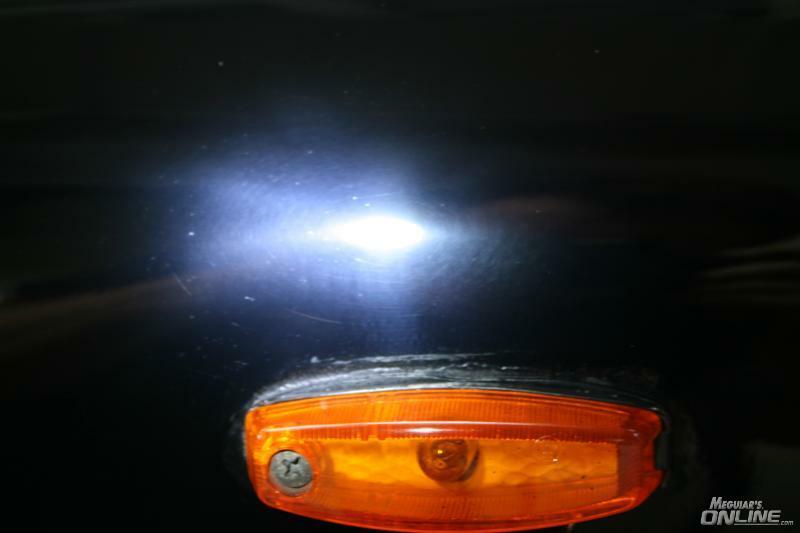 You can cover all the painted surfaces of the vehicle with this step, adding product to the pad as needed. But again, and this is critical, do not overuse the product. A little goes a very long way here. We do suggest you clean the pad as mentioned above regularly, but it's not as critical in this step as it is in the compounding phase. Still, it's a good idea to stay in the habit of keeping these pads clean. You'll find this finishing wax dries very quickly and wipes off with almost no effort. 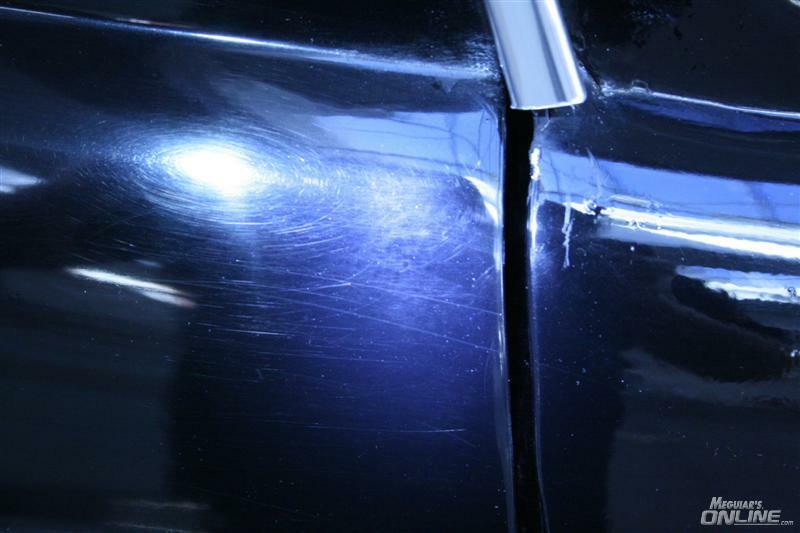 By the time you're done covering the whole vehicle with a thin coat it should be ready to start wiping off. It really is that fast and easy. In a case of extremely delicate paint (and this is going to be fairly rare) you may find that even the finishing disc used on the D/A leaves a tiny bit of haze. 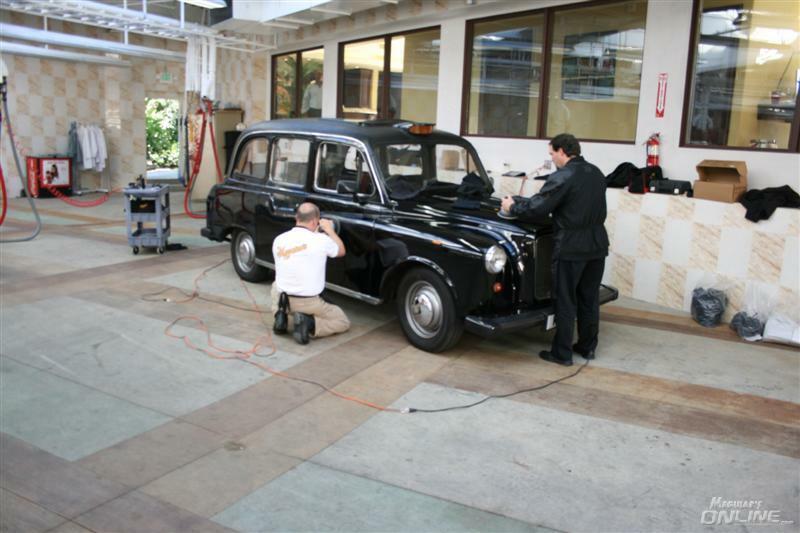 In that case, apply the finishing wax using the microfiber finishing disc by hand, preferably utilizing a S6HP or S3HP for uniform application. It's also a good idea to use at least a bit of caution when removing the microfiber discs from the backing plate. Rather than pulling up just on the microfiber portion of the disc, grab the entire thickness so that you're directly pulling on the foam to pull it off the hook and loop attachment system. Using too much product is a definite no-no. If you're finding the product difficult to remove, this is the number one culprit. Remember, just a few drops of product per section is all that's needed. 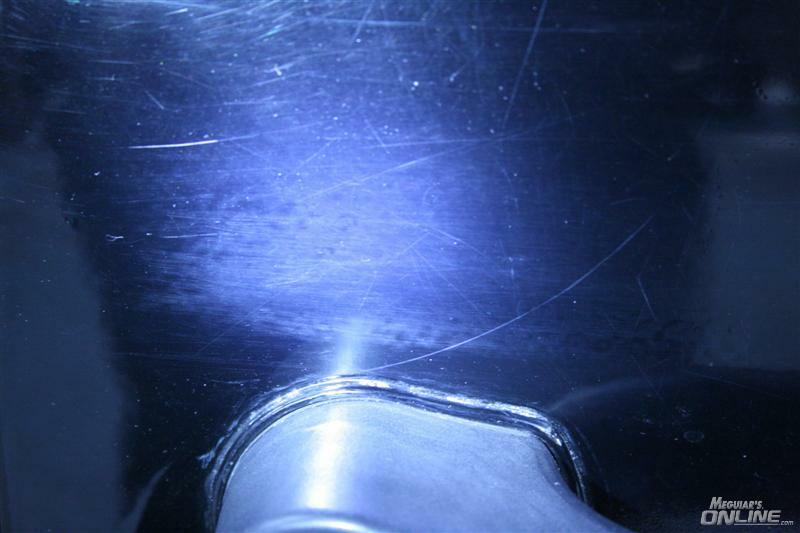 Short cycling is the next most common reason for difficult wipe off and insufficient defect removal. 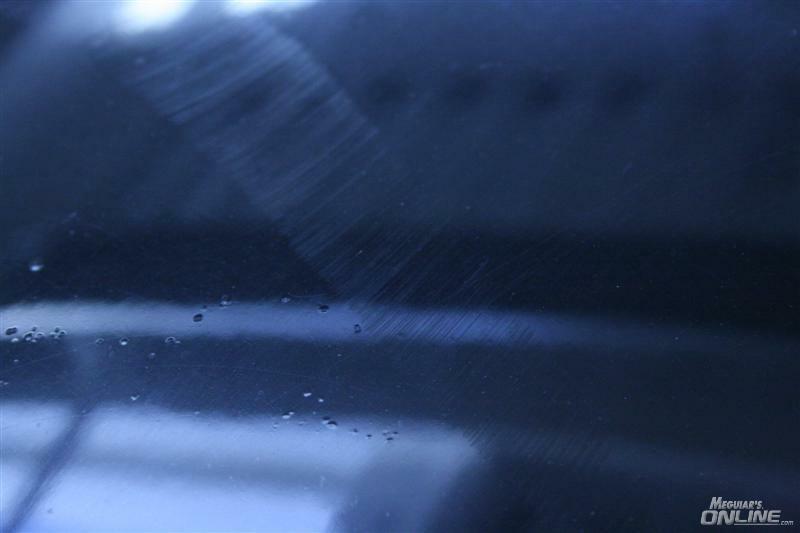 The Microfiber Correction Compound should stay wet for a long time, giving you a long buffing cycle. Take advantage of it and let the product work down to a thin film. Wipe off will be incredibly easy and there will be almost no dust. Keep the pads clean. This just can not be stressed enough. If you aren't keeping your foam pads clean right now, and you should be, you want to break that bad habit NOW. Keep the pads clean. It is fairly common for the compounding step to create some level of hazing when removing defects. This is normal, and you don't generally expect the heaving cutting step in any process to leave the finish LSP ready, so this one is really no different. So feel free to do an IPA wipedown or similar, just don't be surprised to find the finish is less than perfect. That's what the Finishing Wax and Finishing Disc are here for. Speaking of hazing, on very delicate paint systems you may find that some hazing still remains following the Finishing Wax step. If so, either try applying the wax by hand, or apply it with the 6.25" discs. Either process minimizes the action of the tool and can further refine very delicate paints. Priming of the pads is essential with this system. While this was discussed previously here, it's worth a quick review. Keep your tool speed set at 4800 opms for defect correction with the Correction Compound/Cutting Disc. If you need to alter your cut do so by either increasing pressure on the disc or by reducing your arm speed over the paint. Do not increase the tool speed! You can apply very heavy pressure and still allow for pad spin, which is critical, and the pressure increase can dramatically increase the cutting ability of the combination. Keep your tool speed set at 3800 opms for application of the Finishing Wax. You can move fairly quickly over the paint surface during this step, but make sure to cover uniformly and completely. Being able to move quickly is not an invitation to be sloppy! 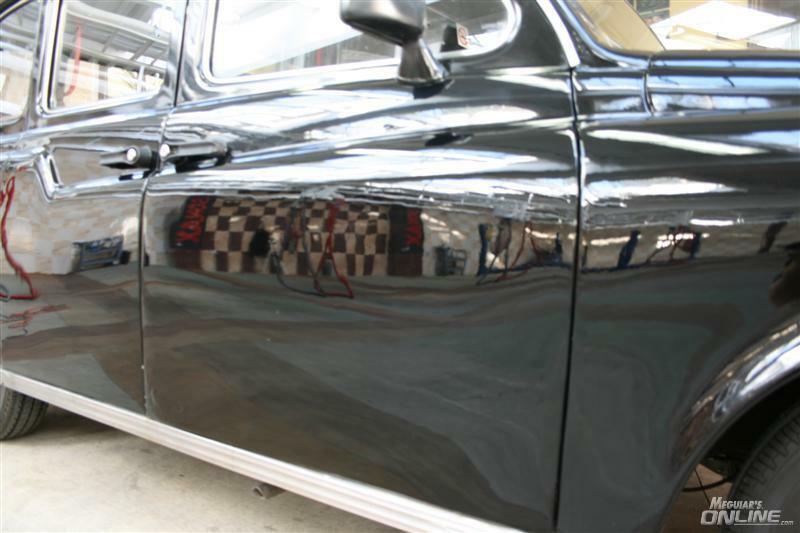 Only light to moderate pressure is needed for application of the finishing wax. Clean your pads regularly and frequently during use. We simply can not stress this enough! Spend a few seconds after every pass to remove excess product (and that small amount of paint) from the pad with either compressed air or a pad brush. This not only prevents the build up or clumping of product but also keeps the microfiber material "fluffed" for optimum cutting ability. The pad will remain primed when doing this, and all that's needed for the next panel is 4 or 5 pea sized drops of product. A little goes a very long way! This frequent cleaning is much more critical in the compounding step, as you might imagine. While we do expect a flood of write ups about the new DA Microfiber Correction System very soon, we thought we would offer up just a very brief sampling of some very different paint systems we've used it on recently, all with outstanding results. 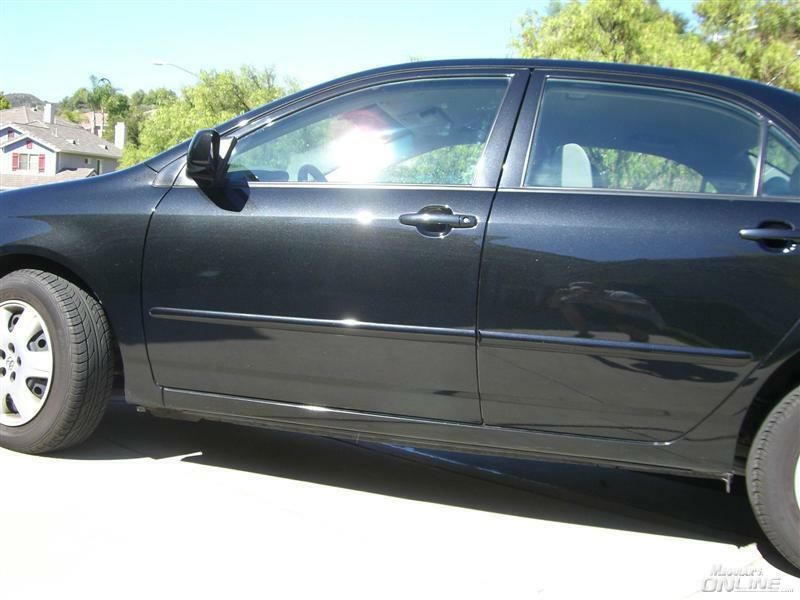 First up, my niece's Toyota Corolla. Since she got married and moved into a new home she started taking this car to a local car wash/detail center. They've been doing a less than wonderful job on the car! Not a lot of pictures, but it gets the point across. All that was used on this car was the 5.5" cutting and finishing pads with the associated liquids. Total time, about 3 hours. Yes, the tires are not dressed here - this is about the paint, and the paint only!! Swirls, scratches and holograms abound! The entire car looked like this. Finished. The clarity of the paint really surprised me after this session as I don't recall it ever looking quite this good before. 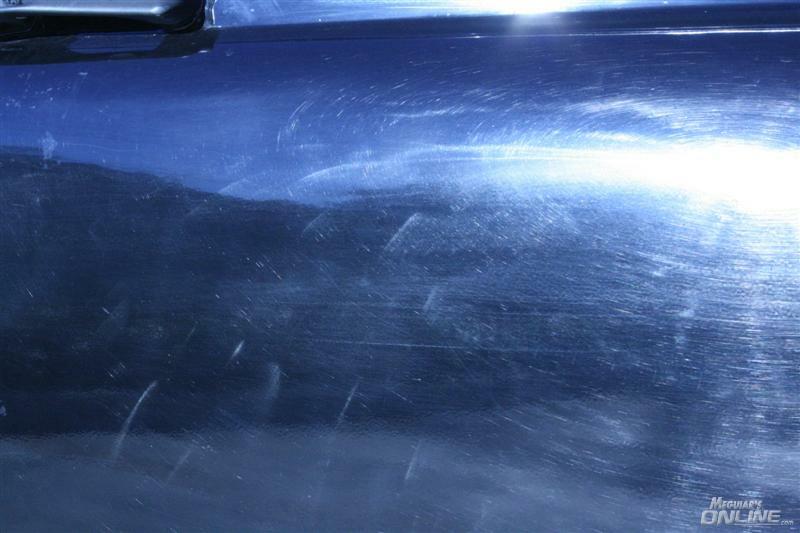 This is a close up of a Mercedes SL 55 AMG (from 2007, if memory serves) that was in desperate need of cleaning up. The owner is the same guy who owns the Superformance Shelby Cobra we've posted about previously here on MOL. For this car we did the same thing as on the Corolla above, except we made use of the 3.37" pads on a Metabo buffer for the tighter areas around the rear license plate, bumpers, etc. When all was said and done, about 6 hours later, the reflections were clear and crisp. Yes, that's his Cobra in the background. The Cobra is worth mentioning here to, we suppose. 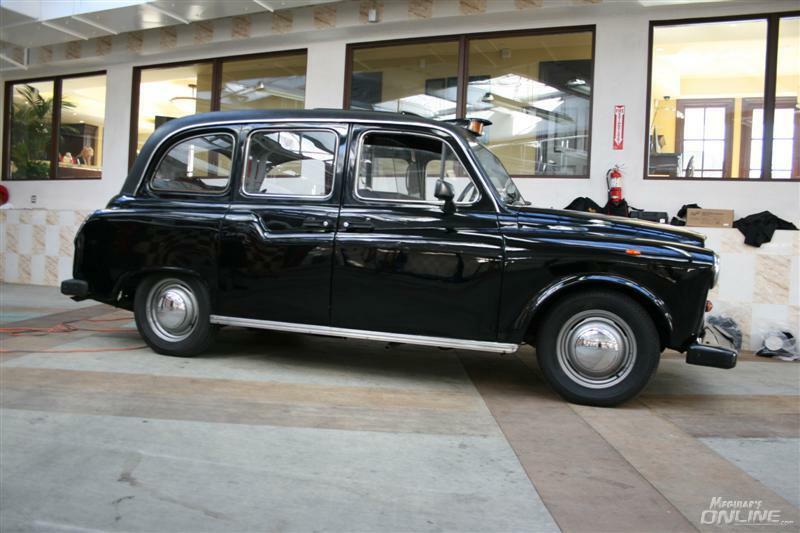 Since it had been buffed out several months prior using more traditional means, and since it isn't driven all that much, it had just very minor flawing to the paint. These flaws were primarily the form of light towel marks from wiping it down after a drive. The owner just wanted a fresh coat of wax on it, so what the heck - how about giving just the Finishing Wax a go on the Finishing Disc? This was fairly delicate paint so a quick go around with this process took out all those fine towel marks and left a gorgeous finish. Total time - 20 minutes maybe? Crazy stuff on this particular car. We did a quick test spot first, being a little cautious since we have very close knowledge of how finicky the paint on this car is. OK, now this one is quite a bit different, and in more ways than one. 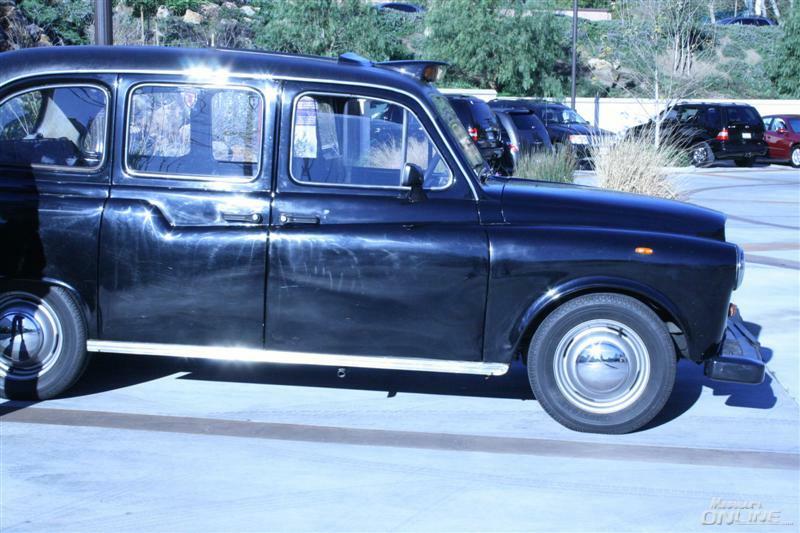 First, it's just a cool little car - a 1976 London Cab. Second, it actually steps outside the design parameters of the DA Microfiber System in that this car was repainted about 5 years ago. We know that many of you are going to try this system on anything and everything, so we thought take a crack at it first. Third, Jason Rose and Kevin Brown were on hand to put microfiber disc to paint, and that always makes for a very entertaining and educational day! 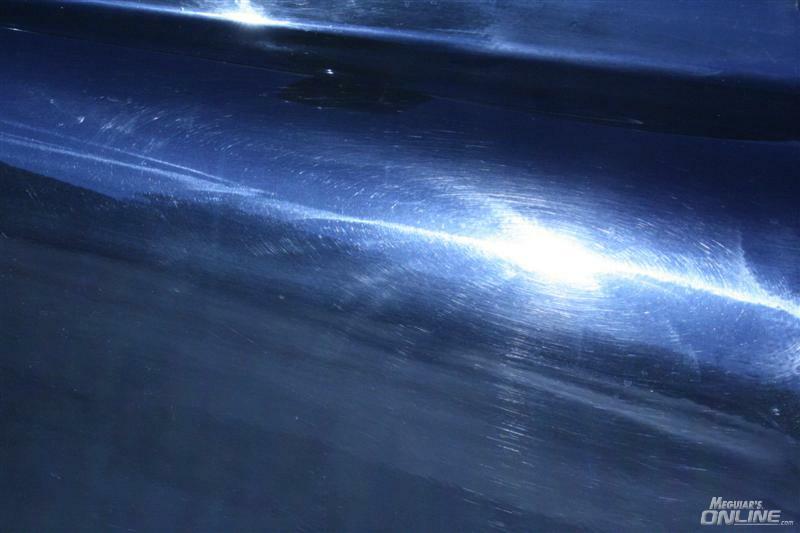 There weren't just holograms and scratches everywhere, but the odd nasty scuff and even sanding marks left behind from that respray 5 years ago!!! Here's Jason correcting with our G110v2 and the 5.5" cutting disc. Jason and Kevin doing what they do best. Here's a really cool benefit of the design of these microfiber discs - you can get right up next to things with almost no risk of damage. 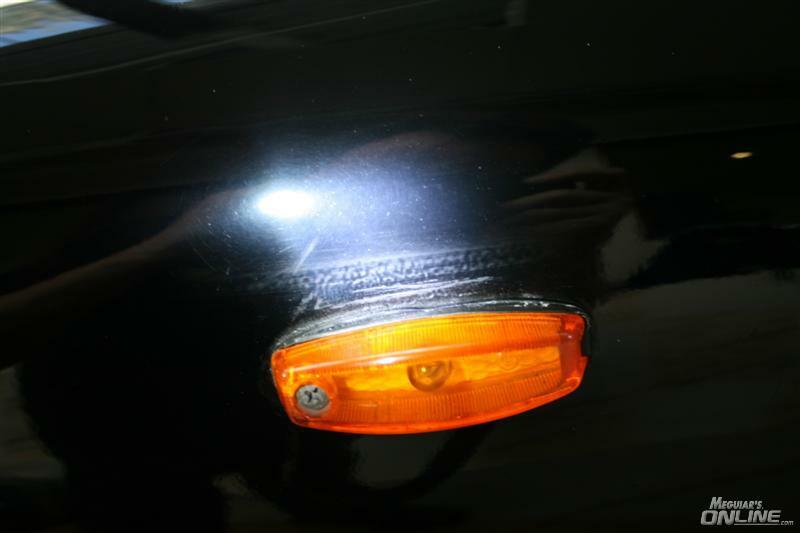 See the sanding marks right next to this side marker lamp? We could come right up to it and remove the sanding marks with ease. Ta-Da!!! Yes, there is some hazing left from the compounding step, and that's to be expected. In this shot we have not yet applied the finishing wax. Of course, keeping our pads clean was critically important here, and not just because this turned out to be single stage paint. Fortunately we had compressed air at the facility, but a good brush would do the trick too. All done and ready to pick up his next fare. Sunlight doesn't get much more direct than this! Glad to see this awesome product finally live. As usual, very detailed & professional instructions. The results are incredible! Amazing how it simplifies the whole process. This is going to be a hit! Can't wait to see the user's reviews. I cant believe what his system can do. Cant wait to try it out! SWEET! Alright, time to empty the wallet........UW, UP, Microfiber System......................YIPPEEEEEEEEEEEEEE! Glad to see your write up. The system looks very effective, and more importantly, looks to save a whole lot of time, not just in the process but with clean up too ie less dust. Just a quick question. How does the finishing wax, which obviously has corrective ability of sorts, compare to say Nxt 2.0, M21 and Ultimate Wax? I ask in the sense of hydrophobic qualities and longevity. Is there any benefit to following the finishing wax with one of these products, or will they be redundant if choosing to use this system? 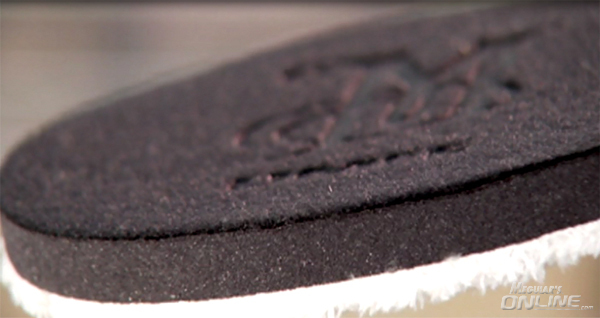 One more quick thought, these microfibre pads remove sanding marks as shown in your pics. Using a rotary I would sometimes finish sanding with 2000 grit, could even get away with 1500 if needed. What grit will this system easily remove? Meguiar's New DA Microfiber Correction System Part #2!!! Microfiber DA correction system... HERO or ZERO?